Sanders Equities executives said they are having difficulty finding a tenant for the 42,000-square-foot facility in Hicksville. 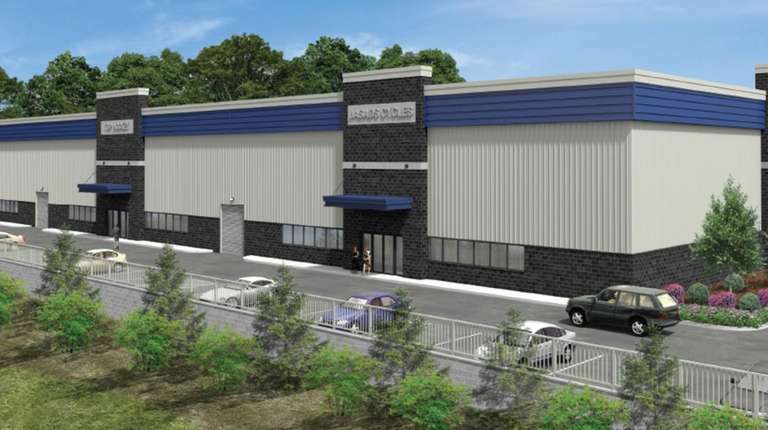 A developer is asking Nassau County for tax breaks to help attract tenants to a proposed $7.2 million warehouse in Hicksville. Sanders Equities executives said last week they are having great difficulty in finding a tenant or tenants for the 43,000-square-foot warehouse planned for 400 W. John St. The primary stumbling blocks are the high rent needed to pay property taxes on the new building and construction costs, the executives said. Sanders requested a 20-year reduction in property taxes from the county’s Industrial Development Agency, which was met with skepticism by some IDA board members. Sanders, based in Jericho, wants the incentives to start before a tenant has been found. The developer also has requested a sales-tax exemption on construction materials, equipment and supplies for the warehouse, which would have no interior columns, and the ceilings would be at least 30 feet high. Daniel P. Deegan, Sanders’ outside attorney, said the developer promises to repay the tax benefits, assuming they are granted, if it cannot find a tenant that’s also acceptable to the IDA in four or five years. IDA board secretary Timothy Williams asked why the agency would award tax breaks to a project that won’t create any permanent jobs for up to five years while a tenant is being sought. “So, four or five years of taxpayer-benefit money and no job creation?” said Williams, who works as a banker. IDA board chairman Richard Kessel said any potential tax breaks are subject to negotiation and must be tied to Sanders' keeping its promises. Any deal would have to be approved by the IDA board. He conceded that developers rarely seek IDA assistance for a tenantless building. "It is a unique direction for us to go in … To try to get something that might not happen ordinarily to happen, and to bring jobs to the area,” he said. Kessel also noted the planned warehouse is near downtown Hicksville, which received a $10 million state grant last year for revitalization efforts. The IDA board unanimously approved a resolution last week authorizing more talks with Sanders. The developer purchased the West John Street property in 2015 after a previous owner's plan for a condominium project fell through.